Fucoxanthin Side Effects – What To Be Aware Of? Brown Seaweed supplement products are becoming all the rage. Supposedly this magic sea plant cures everything from cancer to diabetes, regulates periods and helps you lose weight too. While fucoidan health benefits are potentially many, it’s important to understand that we are only beginning to fully realize what this miracle weed can do, meaning that some of its benefits might still need to be unlocked and that fucoxanthin side effects need much more evaluation. It’s important to remember that just because something comes from nature doesn’t necessarily mean that it is safe. Many things come from nature that can be dangerous, consider opiates for example. Derived from the innocent poppy plant, opiates can be a great medication for the terminally ill, but can also be manufactured into unsafe, illegal drugs. Don’t worry about fucoidan side effects mimicking those of the poppy, but understand that fucoxanthin side effects have simply not yet been fully evaluated. Of all the potential side effects of this product, only one is really known to be dangerous thus far, and that is an iodine overload. Seaweed is rich in iodine, which is super for people who are deficient, however can be dangerous for those of us that are not and can potentially wreak havoc on the thyroid hormone. Iodine poisoning is also one of the fucoxanthin side effects that have not fully been explored making dosing unknown. Natural supplements for weight loss are really gaining speed in the market due to the unwanted side effects of many weight loss pills. 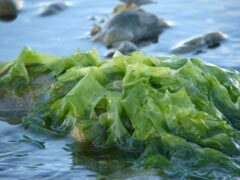 Brown seaweed has shown lots of promise in helping shed pounds and increase overall health and has been linked to other healthful benefits from DHA production, insuling regulation and even purported cancer fighting abilities. It is possible that in a few more years, with more research and testing, that researchers will unlock the full potential of this naturally occurring resource, until then, it’s important to get educated on fucoxanthin side effects, and talk to your doctor about how this product might affect you before taking it. Remember that diet, exercise and natural vitamin supplements are the best way to lose weight. Supplementing your daily routine with a pill or vitamin is only part of the equation. Speak to your health care provider about a realistic and goal oriented weight loss plan that includes calorie reduction and exercise along with any supplements you are considering taking. 10 Natural Metabolism Boosters For Women You Won't Believe!